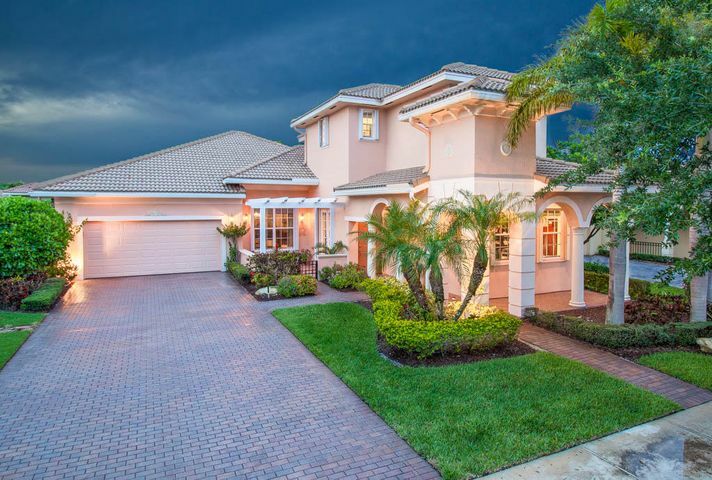 162 Via Cataluna located in Jupiter, FL tends to 3 bedrooms, 3 bathrooms, and 2 garage spaces. The bright master bedroom hosts multiple large windows with plantation shutters also throughout the home. Inside the master bathroom there are his and her sinks, a separate shower and tub and a large walk in closet. The remaining bedrooms have a split bedroom floorplan and large closets. The kitchen has recently been updated with all new gorgeous wood cabinetry and a great granite counter top. This bright and airy home backs up to a luscious tropical preserve giving a very private but beautiful view out throughout the inside of the home. Outside, the back patio has been extended giving extra room for dining, grilling and entertaining. To get more information on 162 Via Cataluna please contact one of our dedicated Distinct Estates agents who will be glad to show you homes in Jupiter or in other parts of South Florida. Treat your family to a tour to remember. Las Olas Food Tours takes their guests to a number of preselected restaurants for a bite to eat. In between these tastings, guest will learn about the history of Las Olas Boulevard and Fort Lauderdale. Savor the tastings of fine cuisine while enjoying the story of how Fort Lauderdale came to be. Las Olas Food Tours offers two different tours to satisfy different cravings or for you to come back and enjoy all over again. Meeting Place: NE Corner of 9th Avenue & Las Olas Blvd. This food filled adventure is three hours long, which is the perfect length for a family or friend outing. Available dates and prices are accessible on lasolasfoodtours.com. At the meeting place, you will learn about the agenda for the tour. On this tour, you will see one of the oldest buildings in Fort Lauderdale, visit the only hotel on Las Olas, and hear stories about some of these well known locations on Las Olas. This food tour eventually takes you by water taxi to the west side of Las Olas after savoring some tastings from the east side. You will be taken back in time and hear stories about The New River and events that occurred there as you are strolling along through Fort Lauderdale’s Historical District. This food tour is also three hours long with tastings in Himmarshi Village or along the New River. At the end of your tour, indulge in your mini box of Kilwin’s Las Olas chocolates. For more information about Las Olas Food Tours, click here. This article has been produced by Distinct Estates, LLC. 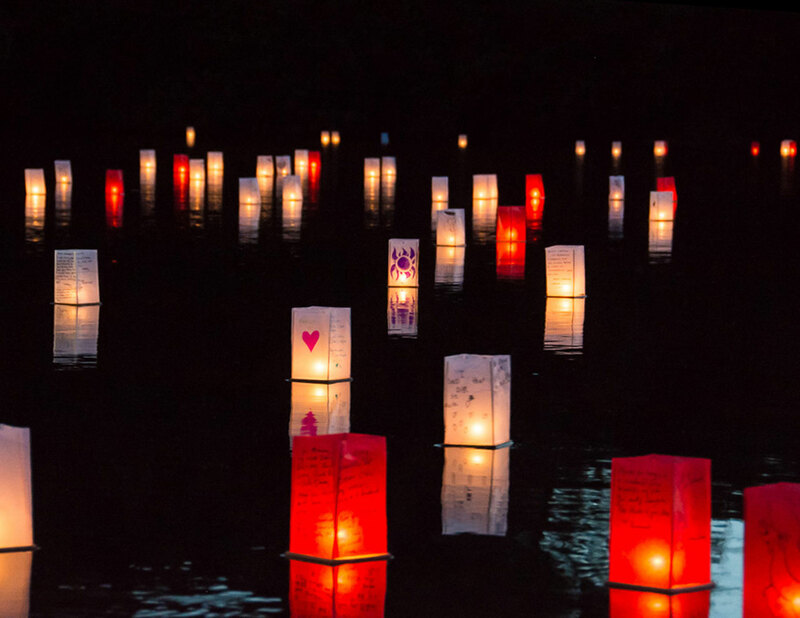 Morikami’s most popular event happens each Fall which is the Lantern Festival. The museum offers their own take on Obon, Japan’s homage to ancestors who return for a brief visit to the living. 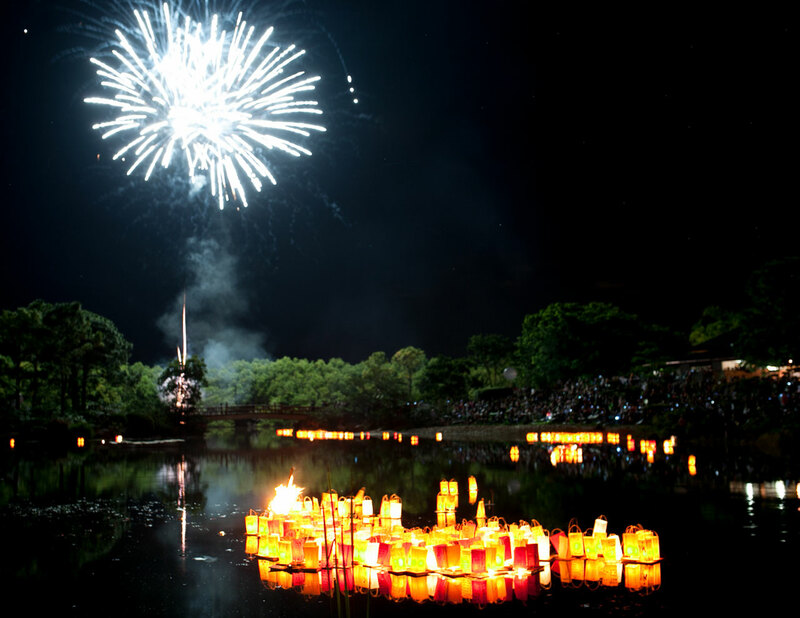 At the festival experience a lantern floating ceremony, fireworks display, traditional folk dancing, and taiko drumming. Also enjoy the Ennichi Street Fair with vendors, games, activities and Japanese food and drinks. Tickets are available for presale for members only at the price of $10. General admission is $16 for ages 11 and up while ages 4 – 10 are $11. Lanterns for the lantern floating ceremony go on sale at the start of Lantern Festival. Each lantern is hand-assembled by Morikami volunteers and staff the day of the festival. Limited quantities are available and cannot be purchased in advance. For more information about this event, click here. Please check back soon for schedule. Join the Sailfish Marina as they present their 4th annual lobsterfest! The event will take place August 6 from 4-6 pm. This a free event for all wanting to attend. Have fun with the activities great for the whole family. This family event at the Sailfish Marina will feature Spiny Lobster Dishes, Vendors, a Silent Auction, Pet Costume Contest, Dunk Tank, Bounce House, Face Painting, Live Entertainment, and Local Artists. A percentage of proceeds will go towards the West Palm Beach Fishing Club. The Sailfish Marina offers many amenities such as a waterfront restaurant, marina, motel, ship store, water taxi to peanut island, and fishing charters. Although Sailfish Marina Resort is primarily a fishing destination, their lodging accommodations have just as much to offer the Florida vacationer. The guest suites give off a tropical feel due to the fact that each room is named after a game fish or Bahamas Island. Many rooms have kitchenettes for families or long, extended stays. For more information about Spiny Lobsterfest or Sailfish Marina click here. 115 Via Azurra is located in the heart of Jupiter in the community of Paseos. The property is a 4 bedroom, 4 bathroom home with a 2 car garage. A wrap around porch welcomes you as you enter the home. As soon as you enter the home through the French doors, the foyer’s custom detail is undeniable with the crown molding and cherry wood floors. The first floor master bedroom is full of wow factors like the marble floors, walk in closets, and patio access. 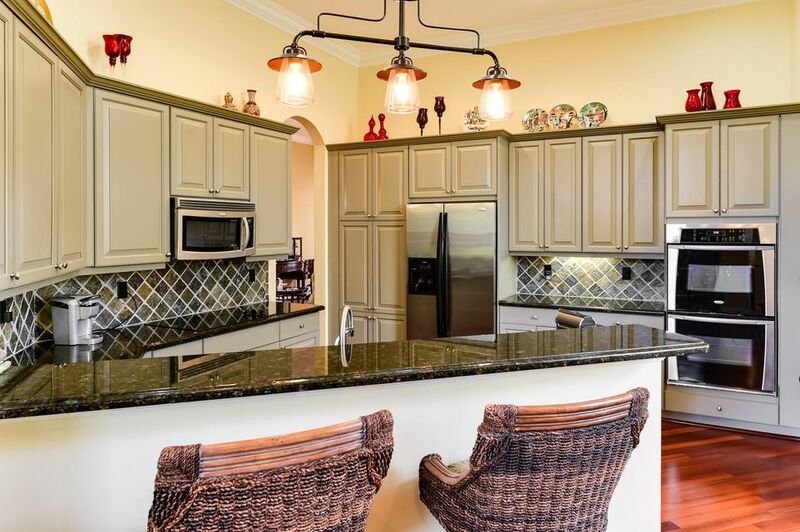 The kitchen is complete with custom cabinets, granite, stainless steel appliances, and a breakfast bar. Other rooms include a family room, dining room, and a full laundry room. The community of Paseos offers pool, tennis, and playground access. Do not miss out on your chance to own a home in the luxurious community of Paseos! This home is listed under $600,000, which a steal for this pristine property. Currently listed under the MLS # RX-10243516. For more information about this property, please contact Distinct Estates, LLC. Who Said Cheap Can’t be Fabulous? Are you ready to enjoy a 3 course Prix Fixe dinner at some of the most high end eateries at the lowest price of the year? Downtown Delray Beach is hosting their very own first restaurant week during Aug.1 and lasts until Aug. 7. Some of these amazing deals are per person and include breakfast for under $10 bucks, three-course lunches for under $20 and a three-course dinner for under $40. Of course, reservations are probably a good idea and there will also be culinary events throughout this wonderful week of good eats! Three-Course Prix Fixe Dinner for $36. Valid August 1 – 4th and on August 7th (excludes Fri. Aug. 5 & Sat. Aug 6). Pricing excludes tax and gratuity. Menu subject to change. Three-Course Prix Fixe Dinner Menu for $40 per person. Valid August 1 – 4th and on August 7th (excludes Fri. Aug. 5 & Sat. Aug 6). Does not accept reservations. Dine out Breakfast for $10 and three-course Prix Fixe dinner for $40 per person. Additional info to be announced. Three-course Prix Fixe dinner for $39 per person. Menu is subject to change. Three-course Prix Fixe dinner for $40 per person. Cannot be combined with other offers. Three-course prix fixe dinner for $30 per person. Menu is subject to change. Dine out: $8 Combo breakfast sandwich and specialty coffee by Nespresso or a freshly squeezed juice. Three-course Prix Fixe lunch for $20 per person. Three-course Prix Fixe dinner for $40 per person. Menu subject to change. Culinary Class: Craft Cocktail Class on Thursday, August 4th at 7 p.m. for $30 per person. Price includes two craft cocktails, snacks & a special something to take home. Additional info to be announced. $10 bang for your buck! Culinary Event Class: Culinary and nutrition class. Three-course Prix Fixe dinner for $25. As well as a family-friendly pizza building class for $10 per person! Wine and Sushi Culinary Event. Details to be announced. Three Craft Cocktails for $20. Three-course Prix Fixe dinner for $30 per person. Culinary event: Four-course dinner and beer pairing with Barrel of Monks, Thursday, Aug. 4 for $85 per ticket.